Track located is the only one of Guatemala. With 2400m and tricky turns it is quite a challenge to race! 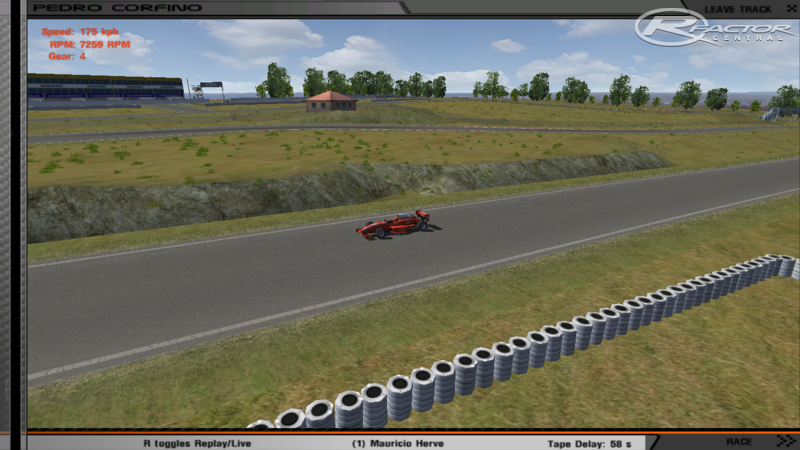 There are currently no setups for Autodromo Pedro Corfino. Add a Setup. Thanks and keep sending ideas, historical facts or fotos of the circuit until 1950. Big Thanks to Carlos Hamilton, Silvano and all at BOXRACEBRAZIL. Nice track! I have enjoyed getting to know it. Had no problem with the installation, same as most tracks I have downloaded, you just copy the zipped folder to locations. Thanks, the .mas should be called as the track? Like Pedro Corfino.mas ?. I knew how to use the tool, just didnt knew which files to put into...anyway, what is the gain with this? Performance? Anything?. Thanks again, ill try it for my next releases and upgrades. Are you serious ? You can't be bothered to look at the help file ? Unbelievable. I'll write in small words. Click the button to add files. Select all the image and mesh files. Click save from the File Menu. Enter a name for your .mas file. I cannot believe that moving a folder called Pedro Corfino to Locations is that hard!. And no, i havenot figured out how to do the MAS thing. Instead of complaining you could give a help and say how to do it. I was hoping to give this course a try but when I downloaded it and found that the author couldn't even manage to pack things into a .mas file I deleted the whole thing. I can not believe that people still haven't figured out how to use a VERY simple utility (MAStool) for this game that is now almost seven years old. 7 YEARS FFS.